Am I Required to Fill Out a W-9 as a Sole Proprietor? As the tax filing deadline looms each year, taxpayers begin to compile the relevant information to file income taxes. In addition to filing personal income taxes, business owners and employers must make sure to file their business tax returns and provide paperwork to employees, contractors and other individuals as required by the IRS. A sole proprietorship and its owner are treated as a single entity under tax law, and often must fill out a Form W-9. A sole proprietor is the owner of a sole proprietorship, which is a business entity formed with little formality. Sole proprietors are not considered independent of their sole proprietorship for tax purposes; this means that the sole proprietor will include business expenses and income on his personal income taxes. 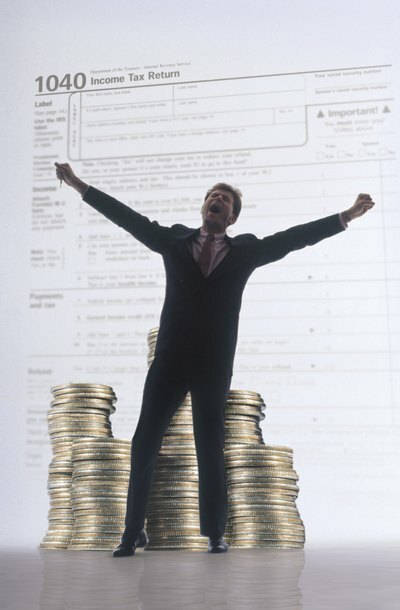 The IRS essentially treats sole proprietors as self-employed individuals for tax purposes. When a business hires and pays a sole proprietor, such as a computer repairman, the business must report the payment to the IRS to help ensure that the sole proprietor pays taxes on the funds. In order to report this information and determine whether to withhold taxes from payments, the hiring business asks the sole proprietor to complete IRS Form W-9. This form asks for the mailing address and taxpayer identification number of the hired party. The hiring party is required by law to provide the IRS and the hired party with a Form 1099 if the payment for the services exceeds a certain threshold. The purpose of a Form W-9 is to provide the IRS with a checks and balances system; thereby, allowing the IRS to verify whether individuals or business entities are reporting the correct sources of income. Forms W-9 are used to certify the accuracy of the taxpayer identification number. Also, the W-9 allows the hiring party to determine whether the individual or entity being hired is subject to backup withholding, which is the mandatory withholding of taxes from certain payments. Since a sole proprietor and his sole proprietorship are considered a single entity for tax purposes, the sole proprietor must fill out Forms W-9 for business transactions. The hiring party is required to request the information and the sole proprietor must fill out the Form W-9 accurately, under penalties of perjury. The sole proprietor will designate that it is a sole proprietor and accordingly, any income paid from that business relationship will be reported to the IRS provided it exceeds certain thresholds. One of the major advantages of a limited liability company is that an LLC has pass-through taxation. Unlike a corporation, whose profits are taxed both as an entity and on the tax returns of corporation owners, an LLC is disregarded as an entity for the purposes of federal taxation. The profits of an LLC are only taxed once: on the tax returns of LLC members. In assessing the tax owed by LLC members, the LLC will likely need to file IRS Form 1099. Any independent contractors utilized by the LLC must fill out IRS Form W-9. The information provided on the W-9 is then used by an LLC to fill out Form 1099. Nonprofit associations, like businesses, generate revenue and expenses. It is essential for nonprofits to maintain a bank account to properly account for these activities. Fortunately, it is not too difficult for a nonprofit to open a bank account. Only a few documents and a trip to the bank chosen by the organization are required.